Antonio Padre is the Appointed Director I of the Department of ICT since March 2015 (Central and Eastern Visayas Cluster). In his capacity as the appointed director, he is also the Vice Chairman, Advisory Council, PNP-Anti Cybercrime Group for the Visayas; Member, Advisory Council, Regional Disaster Risk Reduction and Management Council (DRRMC) Region 7 and PDRRMO, Cebu Province and Co-Chair, Mega Cebu Development’s ICT and Knowledge Management Committee. He is also the officer-in-charge, Office of the Project Director, CPMO since 2009. 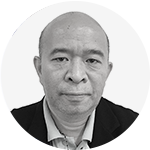 Prior to this, he also served as the Assistant Project Director, Communications Program Management Officer (CPMO) in 2008. He entered in the government service in 1990 with the former Telecommunications Office, Region I, Baguio City. He has been invited as a resource speakers in events including the 6th Cybersecurity Forum Asia Pacific Telecommunicty in Bangkok, Thailand. He is an alumnus of the United States Telecommunications Training Institute in Washington DC, USA in the Disaster Communications Management Course. He is a licensed Electronics and Communications Engineer and holds a masters degree in Business Adminitration from the International Academy of Management and Economics.